I remember absolutely despising broccoli salad when I was growing up; everytime it appeared on a party table it involves a lot of weird textures and a mayo-drenched salad. 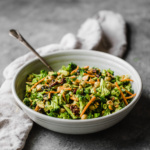 Yet ever since I created my tahini curry broccoli salad there’s nothing I love more than REALLY, REALLY GOOD crunchy salad that doesn’t involve lettuce. 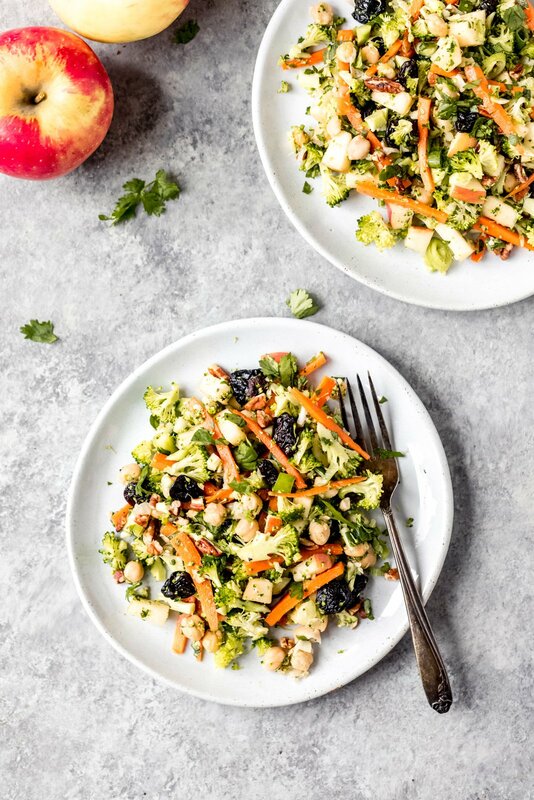 Today I’m back to reinvent the classic broccoli salad and get the party table a little bit healthier with my fall inspired apple broccoli salad: it’s packed with chickpeas, crunchy sweet honeycrisp apples (or whatever apples you’d like), dried cherries, pecans for some crunch and fresh herbs. The honey dijon dressing involved brings it all together and damnnnnnn it is GOOD. The best part of this salad is that it’s no cook and only takes about 20 minutes to whip up. Chop all your veggies and throw everything in a big bowl, toss with the dressing and you’re good to go! The salad will stay good up to 5 days in the fridge (the apple cider vinegar prevents the apples from browning!). I hope you love this salad as much as we do. It’s sweet, tangy, crunchy and filling! If you make it, be sure to tag #ambitiouskitchen on Instagram and rate the recipe below! 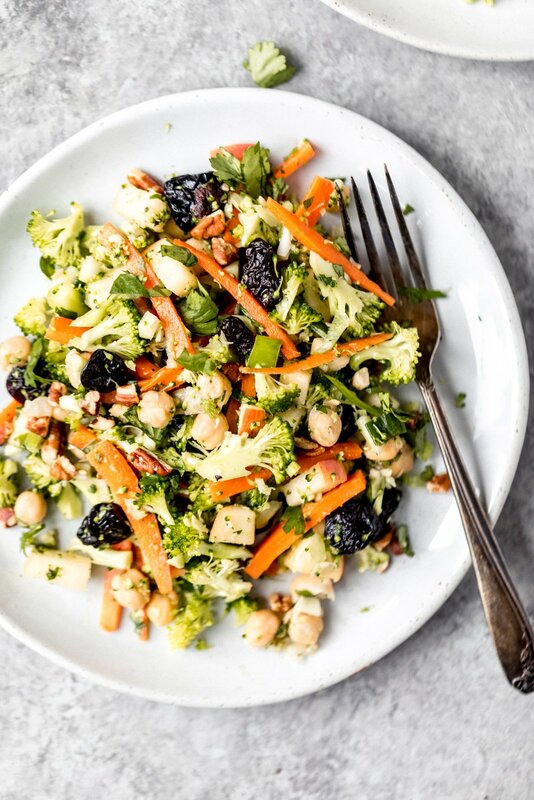 In a large bowl, add finely chopped broccoli, chickpeas, apples, carrots, green onion, dried cherries, pecans, and parsley. Set aside. 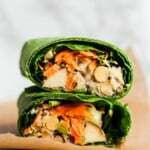 Make the dressing by whisking together the following ingredients in a small bowl: olive oil, apple cider vinegar, dijon mustard, honey, garlic, salt and pepper. Immediately drizzle over salad and toss to combine. Taste and add more salt and pepper, if necessary. Garnish with extra cherries and pecans and serve immediately or place in the fridge for later. Salad will keep well up to 5 days. Serves 4. To make vegan: sub agave or maple syrup for the honey. 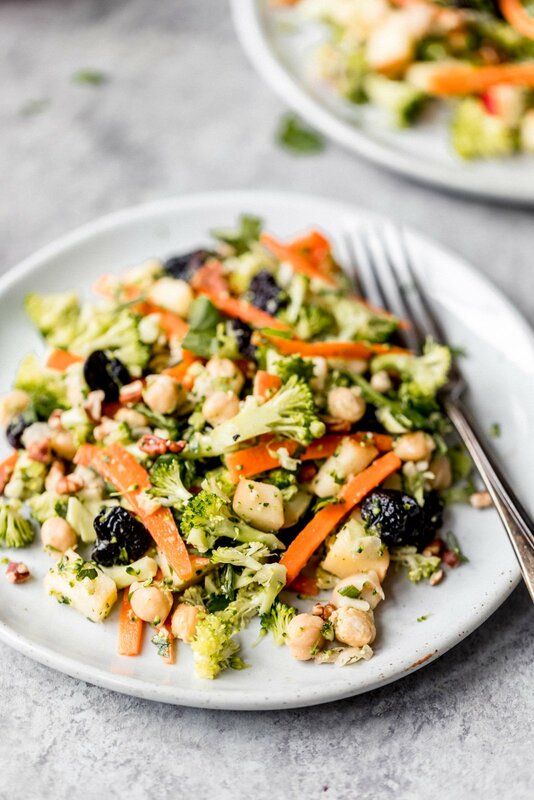 26 Responses to "Chickpea Apple Broccoli Salad with Honey Dijon Dressing"
Hi! 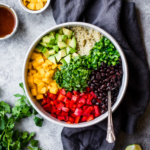 This salad looks SO good and I cannot wait to make for lunches this fall! 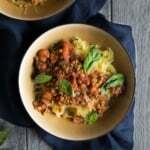 Question – any recos for a chickpea replacement for someone who can’t tolerate them? Hi Kelly! It’s perfect for fall lunches. Feel free to leave them out or use chicken if you’re not vegetarian. Otherwise I would suggest white beans or even adding in some cooked quinoa! This is right up my alley! Perfect for making a few lunches for the week. 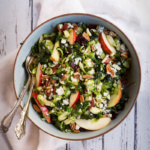 This salad is so addicting, crunchy, tangy, sweet, and filling…I’ve decided IT IS my new diet plan! Something healthy in the fridge to munch on! Don’t think I’ll ever get tired of it! Monique, this is great! I made it as written Tuesday night, and I’m making it again tomorrow night. Thanks for another delicious recipe! Amazing! So happy to hear that, Connie. This is seriously the best broccoli salad. Stayed fresh and delicious for days. Will be in the regular rotation! Glad you loved it! Try this one, too, so good. This is a keeper. 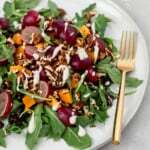 I’m a use what I have in the fridge, cupboards kinda cook and this salad didn’t disappoint. 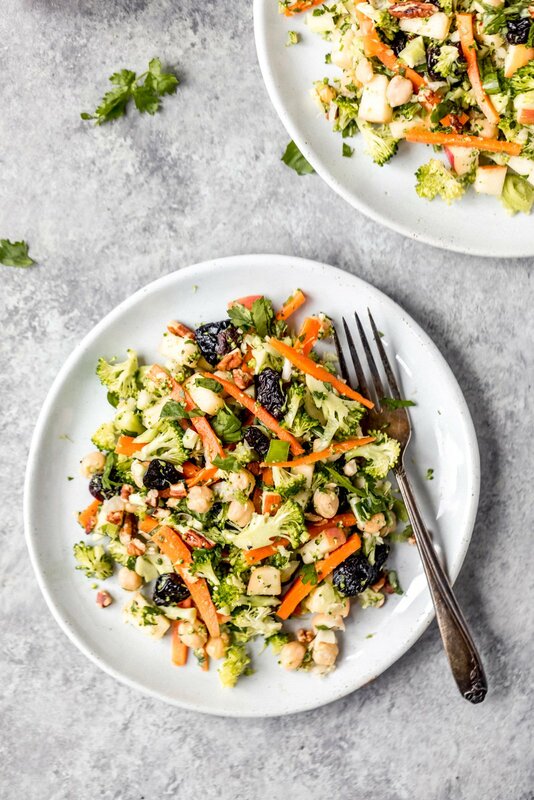 I used the broccoli carrot base but as I was running short on broccoli added some green and red cabbage, Used red onion as a sub for the green, Did not have dried cherries so used dried cranberries as well as almonds to replace pecans. I also used mayocoba beans ,they are similar to garbanzo beans. I also had cilantro to sub for the parsley. The dressing is superb.. One question, can the dressing be added ahead or when served ? Perfect! This one is great for customizing to what you have on hand. 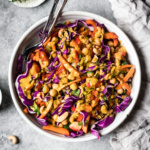 Feel free to add the dressing ahead of time (it marinates the veggies in a delicious way). This broccoli salad is SO GOOD. So easy. Can’t wait to make it all the time. Thank you for all of your amazing recipes!